Antibiotic resistance in Streptococcus pneumoniae (pneumococcus), the main pathogen responsible for community-acquired pneumonia (CAP), meningitis, bacteremia, and otitis media, is a major concern for clinicians. This pathogen is associated with high rates of morbidity and mortality, especially among children under 2 years old, immunocompromised persons, and the elderly population. The major anti-pneumococcus agents are β-lactams and macrolides, with fluoroquinolones ranking third. The emergence of antibiotic-resistant pneumococcus due to overuse of antibiotics is a global concern. 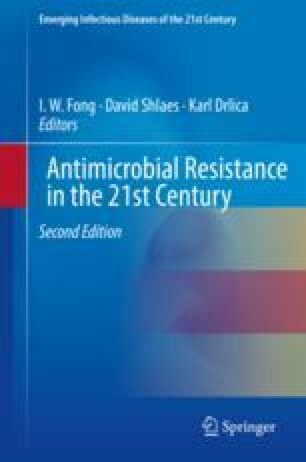 While the discovery of novel classes of antibiotics for the pneumococcus is at a standstill, significant progress in reducing the problem of resistance is associated with antibacterial vaccines. Nevertheless, the World Health Organization recently considered drug-resistant S. pneumoniae as ranking among the 12 bacteria, for which there is an urgent need for new treatments. A challenge is to slow the evolution of new strains that are resistant to the vaccines.